Give your classic bangles a twist with this sleek style. 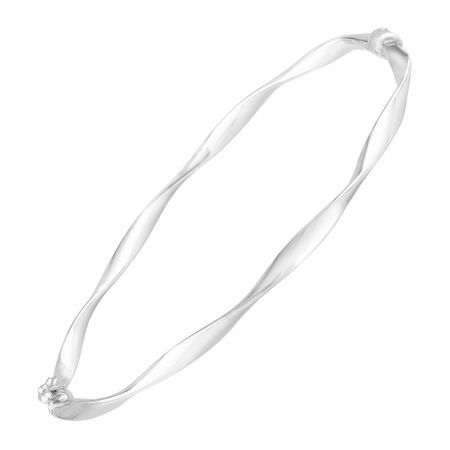 Polished 10K white gold is crafted into a hinged bangle bracelet. Piece measures 7 inches in circumference.